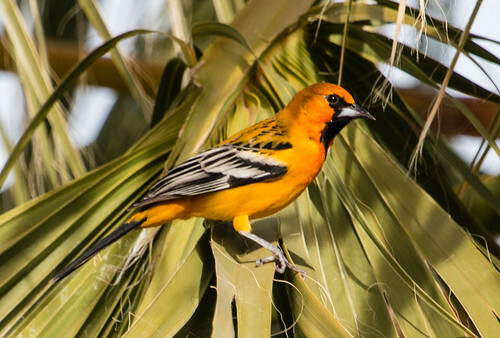 This gorgeous oriole belongs in dry tropical forests, especially with mimosa, from Mexico to Costa Rica. When an individual wanders across the US border, it draws birders like a magnet. It’s an ABA Code 4 species (meaning it’s VERY rare in the United States).